Dementia is considered as the frequent cause of neurodegenerative mental disorder such as Alzheimer’s disease (AD) amongst elderly people. Free radicals as well as cholinergic deficit neurons within nucleus basalis magnocellularis demonstrated to attribute with aggregation of β amyloid which further acts as an essential hallmark in AD. Various phenolic phytoconstituents exists in Trianthema portulastrum (TP) leaves have been reported as active against various neurological disorders. 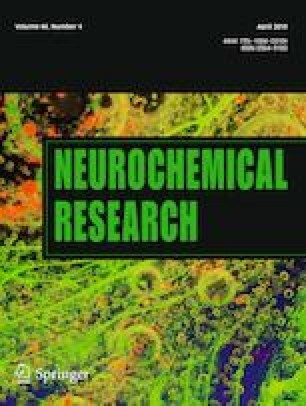 The current investigation was undertaken to evaluate the antiamnesic potential of butanol fraction of TP hydroethanolic extract (BFTP) by utilizing rodent models of elevated plus maze (EPM) and Hebbs William Maze (HWM) along with in vitro and in vivo antioxidant as well as acetylcholinesterase (AChE) inhibition studies. Molecular docking studies were also performed for evaluation of molecular interaction of existed phenolic compounds in BFTP. In vitro antioxidant study revealed concentration dependant strong ability of BFTP to inhibit free radicals. In vitro AChE inhibition study showed competitive type of inhibition kinetics. BFTP significantly reversed (p < 0.005 versus scopolamine) the damaging effect of scopolamine by reducing TL (Transfer Latency) and TRC (Time taken to recognize the reward chamber) in the EPM and HWM, respectively. BFTP also contributed towards increased (p < 0.005 versus scopolamine) enzymatic antioxidant as well as hippocampal acetylcholine (ACh) levels. Histological studies also supported the results as BFTP pretreated mice significantly reversed the scopolamine induced histological changes in hippocampal region. Docking studies confirmed chlorogenic acid has the most significant binding affinity towards AChE. This research finding concludes that BFTP could be a beneficial agent for management of cognition and behavioral disorders associated with AD. Authors are grateful to Dr Vikas Kumar, Department of Pharmaceutical Sciences, SHUATS for his generous help in histological studies. Authors extend their thanks to Dr Puhspraj Gupta, Department of Pharmaceutical Sciences, SHUATS for his support during in vivo studies. They also express their gratitude to Prof. R. M. Kadam, Head of Department, Department of Botany, Mahatma Gandhi Mahavidyalaya, Latur, Maharastra, India for his kind help in identification of plant material.